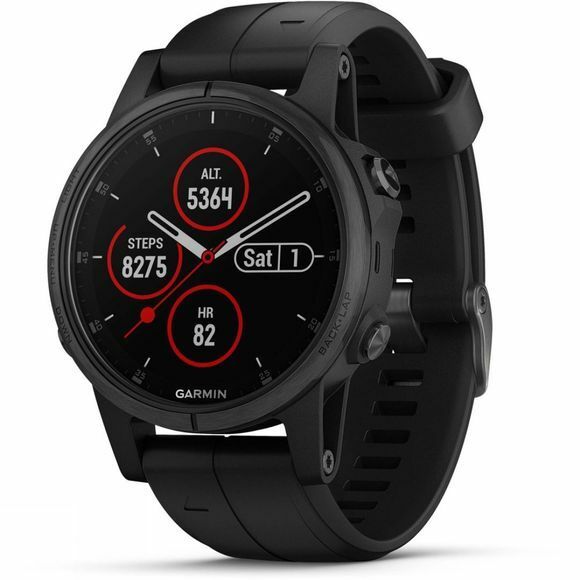 The Garmin fēnix 5S Plus Sapphire watch, exclusive to us, combines premium-crafted GPS multisport capabilities, classic smartwatch features and ultra-rugged construction to bring you a timepiece worthy of even the keenest outdoor enthusiast, and now you can bring your maps and music with you while leaving your wallet at home! As well as the original features from the fēnix 5, such as smart notifications and training maximisation via key-stats and performance metrics, the fēnix 5 Plus series are preloaded with Wi-Fi connectivity and colour TopoActive Europe maps as standard and combines with built-in navigation sensors and multi-satellite network capability to guide you with confidence. Also included is Trendline popularity routing, which is super handy for when you need some insight on which track to hit next. The 5S series are for big challenges and smaller wrists in mind – The updated 1.2” sunlight-readable scratch-resistant domed sapphire lens, housed in a stainless-steel bezel, is fit for adventure and allows perfect mapping readability. 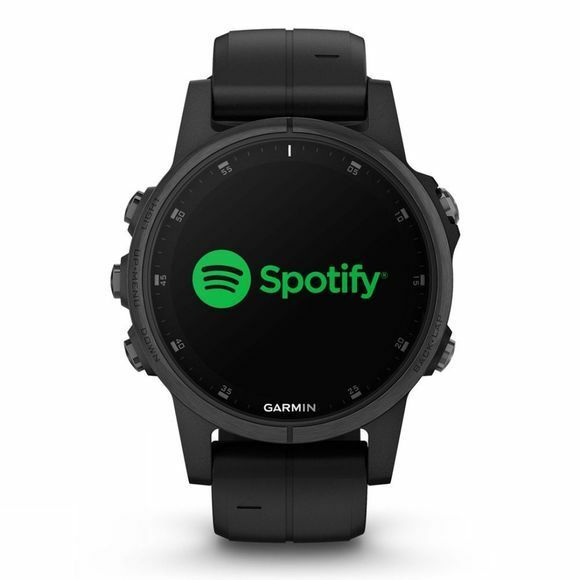 The 5 Plus series offers phone-free listening, and Garmin Pay contactless payment system, so you can pay with your watch on the go. Personalize your watch with QuickFit interchangeable bands, and choose free watch faces and apps via Connect IQ, so you can beat yesterday in your own style. You can sync your carefully crafted playlists from select music streaming services, like Deezer, Spotify and more, to your watch for more ad-free listening. So leave your phone behind when you head out for a run or ride, because the music that keeps you moving is right there on your wrist.